Speeding and failure to yield to pedestrians are the leading causes of traffic fatalities and personal injuries to pedestrians in New York City. Therefore as part of the Vision Zero Initiative all NYPD precincts have been instructed at the beginning of this year to increase enforcement of the most dangerous traffic violations. 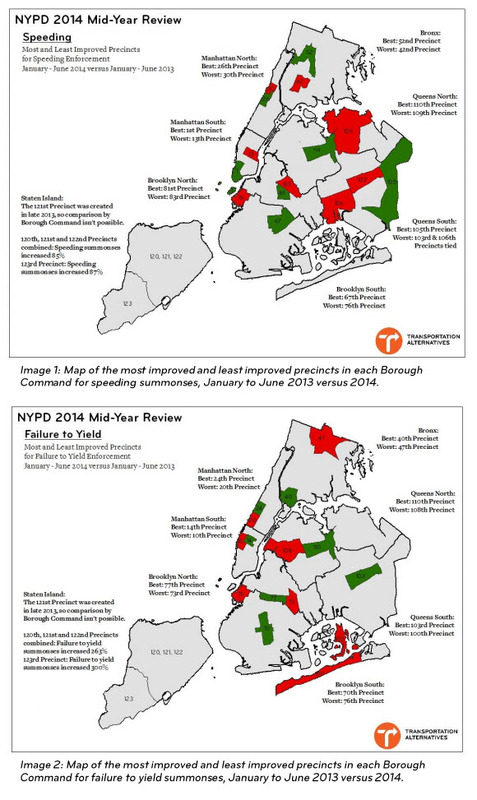 while the adjacent 30th Precinctin Washington Heights issued half as many summonses as they did the prior year.